Personalize this item with your pet's name or photo. Our adult crew socks are great, comfortable and make a great "pet" fashion statement. 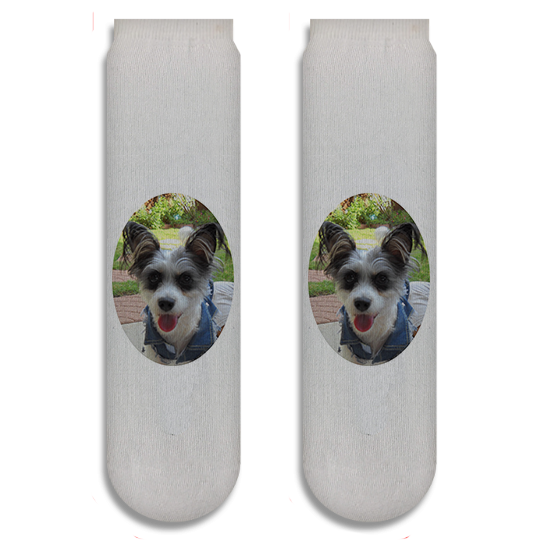 You can completely decorate the socks or choose to only add a smaller image or text. Our custom dye sublimation socks are very durable and will not fade when washed. Order yours today!